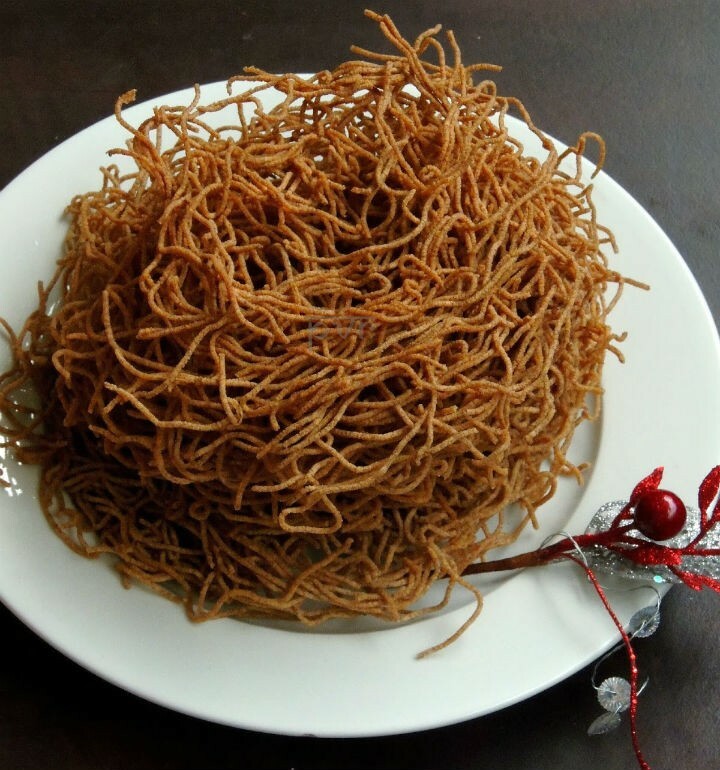 Sev (Omapodi / Ompodi) is a very popular savoury snack across India made with chickpea flour, spices and then deep fried until crispy. Served as a teatime/evening snack, they also make for a great savoury during festival times. This is a variation made with Ragi Flour (Finger Millet Flour) and is equally tasty and delicious as the original one. Soak the omam in water for a while grind them. Filter the omam water by adding little water to it. Take a bowl, add all the flour, salt, omam water and knead them to a fine dough mixture. Add oil for deep frying. Add some of the dough to an ompodi maker. Squeeze the ompodi maker over the hot oil. Fry till light golden brown and remove the excess oil using kitchen tissues. When it is cooled down, transfer them into an air tight jar. 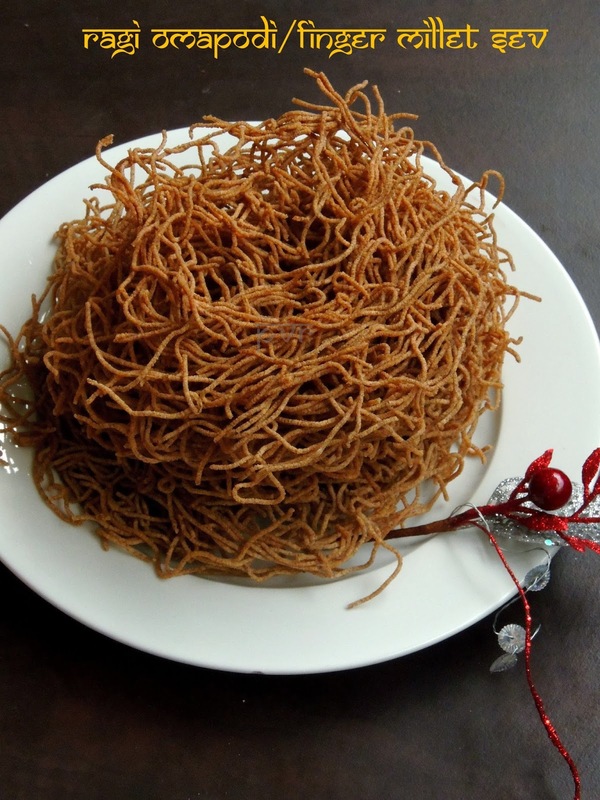 Feel free to comment or share your thoughts on this Ragi Sev (Ragi Omapodi) Recipe from Awesome Cuisine.